Kateryna Iakovlenko is a journalist and researcher from Rovenky, Luhansk. She researches Ukrainian art of the 1980s-1990s, and is postgraduate student at the New Media Department, Lviv National University. An Italian journalist once asked me why I love my country. He also asked me whether I consider myself Ukrainian. After all, I was born in the Donbas, and I speak mostly Russian in my everyday life. But just because my home is now a war zone and my mother tongue is Russian doesn’t make me any less a citizen of Ukraine, or infringe my ability to relate to my country with respect, love and healthy criticism. Recently, I was asked another question at a Kyiv hospital. I’d gone to register at the clinic, and the clerk behind the desk asked where I was registered previously. When I replied “Luhansk region”, she answered: “Oh, you’re not a separatist by any chance?” This kind of question would stop anybody in their tracks. And perhaps we could joke about it, if that phrase didn’t conceal a war and the lives of people who are dear to me. Before the war, the issues of language and where you’re registered as living didn’t seem particularly important. Many things can be taken as given when there isn’t a war going on: you cross the street when the light turns green; cars drive on the right side of the road; when someone steals your pursue, you go to the police station; and if you live in a country, you take care to improve it and make it more comfortable, just as that country takes care of you, too. A state relies on functioning communities – professional associations, groups that gather around certain interests and so on. Debates within these groups and between them allow the whole of society to remain healthy and capable of evaluating situations critically, find solutions and defend its interests. In turn, the comfort of these groups and their active public position guarantees an equal society, one with the power and confidence in its own rights and obligations. Before the war, society in Donetsk was made up into small local communities. Some people liked theatre, some were artists, others were activists (both on the left and the right), there was an intelligentsia oriented around the sciences and the arts, and so on. There were also ongoing divisions inside these communities. But as violent events began to develop in the region from 2013 onwards, these communities split up even more, disintegrating into even smaller units. But there’s solidarity in this story, too. And it’s worth mentioning it, so that these communities can start working again to find possible ways of defending their interests. On 21 November 2013, when students, programmers and journalists came out onto the Maidan in Kyiv, five people paid a visit to the monument to Taras Shevchenko, Ukraine’s national poet, in Donetsk. These people were representatives of different communities, but inside their groups they turned out to be the only people who decided to demonstrate publicly in support of EuroMaidan. One of the first people to do so was Evgeny Nasadyuk, a director and playwright, who works under the name Pyotr Armyanovsky. This demonstration, which initially attracted five people, grew gradually, with 10 people, then 50. Over the course of several months, active residents of Donetsk stayed close to the Shevchenko monument for days on end. By January 2014, this kind of demonstration became impossible. The activists in Donetsk began to be attacked more regularly, there was more violence on the streets, and the violence was starting to slip of out of control. Teenagers armed with bats would attack the demonstrators, and they remained unpunished despite the fact that the city police was still functioning, and the plan to reorganise it hadn’t arisen. One way of scaring the activists was to douse them with zelyonka, the green dye used to humiliate politicians and other persons of interest. A few months passed and people who called themselves residents of Donetsk came out to protest allegedly against the values of EuroMaidan. In the twisted logic of this protest, the problem of defending the region’s Russophone population and their human rights (which was also linked to language) somehow emerged. In the media, this demonstration received the name “Anti-Maidan”, as something opposed to the protests happening in Kyiv. All five activists who came out to protest in Donetsk in November 2013 spoke Russian. They were all residents of the Donbas, and now they are all displaced people. They demonstrated to assert their rights as citizens of Ukraine, to protest against corruption in society and all institutions of power, to support modernisation and the improvement of the country’s education system. These values are universal, and thus there’s no room for exclusion on regional or other grounds here. The largest demonstration, called “pro-Ukrainian” by activists and the press, took place in April 2014. Here, it was the same “five and fifty activists” who’d stood in front of the monument to Shevchenko previously. Indeed, it was the image of this demonstration, which showed a Ukrainian flag flying on Lenin Square in Donetsk, that went viral. But it wouldn’t be quite accurate to call this protest “pro-Ukrainian”. For the people on Lenin Square, the most important motivating factor wasn’t the Ukrainian national idea (although that was also present), but resisting the spontaneous violence that had begun to spread not only through the city’s streets, but its institutions too, thus alienating the city’s residents. It was precisely opposition to violence that became an important element for people trying to assert humanist ideals and democratic principles in April 2014. All of this helped reinvigorate Donetsk’s local community for a time, its importance and faith in the idea that city residents could defend their city. Although this protest was mostly attended by Russian speakers, the Ukrainian flag became its main symbol. This choice was not an accidental one. The Ukrainian flag expressed hope of retaining the state as a force that could defend the city and country against an external threat (many people were worried that the Crimean scenario could be repeated in eastern Ukraine). With the local elite and authorities inactive, the flag became something more than two pieces of blue and yellow material sewn together. It became a totem, a symbol that could protect society from violence. The flag could also be seen as a cry for help – from Kyiv or the international community. But what happened to this society and its sub-units after violence finally won out here? Three years on, Ukrainian society has changed a lot. Now, nobody remembers the story of the five people who protested in Donetsk in November 2013. The protesters who attended the April 2014 demonstration became internally displaced people, and they moved to different cities. For many, this move became a source of stress, and the problems that arise in new cities (accommodation, work, finances and so on) led to a feeling of being stuck in a hole. Meanwhile, for others, new circumstances gave way to positive changes and even career opportunities (many young people left to study at European universities or took jobs in good companies). Moreover, those people who stayed in Donetsk have on occasion experienced hostility from residents of other regions of the country: “If you didn’t leave, you must’ve earned it”. At the height of events in spring 2014, I rang a woman who worked at the Donetsk Metallurgical Factory – I’d made a small documentary film with her in the past. She asked me: “What are they saying about us in Kiev? What are they saying in general?” Of course, different things were being said. Maidan fostered the creation of many volunteer organisations (VostokSOS, DonbasSOS, New Mariupol, to name a few) that worked directly with people, helped them with food or money, and even repaired homes for them. Yet another section of society couldn’t understand the situation beyond the stereotypes: apparently, the people who remained in the occupied territories in eastern Ukraine don’t leave precisely because they support the regime there. The historian Elena Styazhkina has said many times that you shouldn’t call people living in the occupied territories separatists or supporters of the so-called People’s Republics. Indeed, according to Styazhkina, these people should be viewed as hostages – that way, your perception of the situation in the Donbas changes. Back in 2013, before the war, Sergei Bratkov, a Ukrainian artist from Kharkiv, created the work Leave, Forget, which at the time bore no relation to the conflict. Visually, the work is very simple: a black and white photograph shows a man going down a metro escalator from behind, and on top of it, there’s a neon sign: “leaveforget”. Bratkov’s work was created as a reaction to the relationship between the individual and society, their desire to leave their hometown and move into a different social context. Today, this installation looks completely different: if originally, the man decided to leave due to the soft power of the big city, then today, he’s a resident of the occupied territories who has been physically expelled from his native environment. Leave and forget – this is all that a certain segment of Ukrainian society wanted people in the Donbas to do in 2014. But in certain situations, it’s impossible to leave, let alone forget. I’ve been asked many times why my parents don’t just leave their region, and whether their reluctance to do so means that life there suits them. I rephrased Bratkov’s sentiment for myself: “Remain and survive”. The emergence of a negative image of the Donbas is connected to the fact that no one outside the region knew much about it, its character, its life, or the people who lived there. People only remember the fact that the Donbas was the heart of Soviet industrialisation, and that people from across the Soviet Union (including some with a criminal past) traveled there to build and restore it after the Second World War. The myth about the down-at-heel Donbas was fed further by gang wars in the early 1990s, as well as the background of its political elite – the majority of them (for example, Rinat Akhmetov or Viktor Yanukovych) had criminal backgrounds. The fact that the region remained conservative and nostalgic for the Soviet past didn’t help either. T he development of this myth, and the opposition between the Donbas and the rest of Ukraine, was useful for political elites who leveraged their influence to gain votes and mobilise the electorate in 1996-2012. 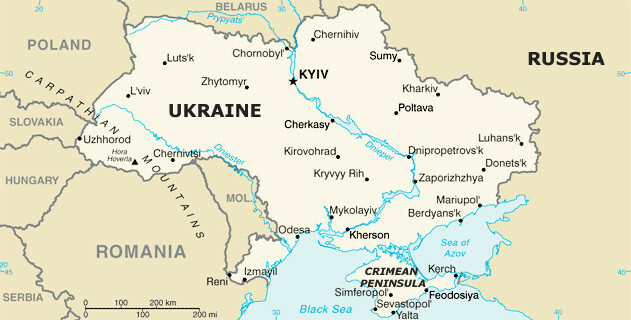 Given that real reforms were not being carried out, populist methods were supposed to reorient voters into an emotional frame in which language and birthplace became markers of how Ukrainian society had fallen behind, a barrier to reform, and all responsibility of politicians was removed in favour of an amorphous “regional problem”. The “Sovietness” that the Donbas is often accused of is really the massive gap between the very rich and very poor, the lack of reforms to the education system, the absence of real trade unions, investment in healthcare, low wages, bad transport system and infrastructure, and inactive communities. Indeed, all of these problems unite Ukraine’s 24 regions and Crimea. Realising that the problem of Ukrainian society today isn’t its eastern regions, but the substitution of reform with populism, will make everyone feel like a resident of the Donbas – a powerless minority that cannot defend itself. The fear of understanding that Ukrainian society isn’t defended by the state leads to the creation of a mythical Other. And this time, Ukraine’s Other doesn’t come from outer space, but the all-too real Donbas, the source of all the country’s ills. In spring 2014, before the “Anti-Terrorist Operation” was declared in the Donbas, there was an attempt to create a Committee of Patriotic Forces of Donbas in Donetsk. This was supposed to be a civic initiative that could defend the interests of residents of Donetsk and Luhansk regions at all levels. Despite the fact that the Committee, which includes Donetsk intellectuals and civic activists, still exists today, issues concerning the region are decided mostly without its involvement. Against the background of the conflict, displaced people could have formed a model of a working community capable of defending its own interests (and the interests of Donetsk and Luhansk) independently. But for the most part, this hasn’t happened. And the already fragile community has split up into small groups, which have begun to defend their own interests inside this (small) community, isolating one another and increasing the level of internal competition. This fight, this competition is often accompanied by discussion about which activist is the biggest patriot, who is the biggest activist, who has suffered most, and who has suffered least, and who supports human rights. For example, when I spoke with Evgeny Nasadyuk in January 2017, he made an offhand remark to the effect that he doesn’t want to associate himself with certain representatives of the Donetsk region, and that you should be sceptical about any public demonstrations they organise. Other activists and displaced persons have expressed similar opinions. I experience similar feelings to a certain extent myself. Perhaps this position comes from an unhealed trauma, or the fact that everyone is involved in a secret struggle for their place under the sun. People who refuse to participate in this struggle leave the community and either remain on their own or join another group. In The Uses of Disorder, the American sociologist Richard Sennett speaks about how “images of communal solidarity are forged in order that men can avoid dealing with each other… The ‘we’ feeling, which expresses the desire to be similar, is a way for men to avoid the necessity of looking deeper into each other.” Ukrainian society isn’t so far from this model: the concept of “us” isn’t formed on the basis of accepting different categories and groups of the population, and even excludes them. Our segmented society has stopped talking to one another, defining common aims, seeing allies, rather than enemies, in each other. Any discussion is reduced to “kitchen talk”, Facebook activism or posts on other social networks. Street protest doesn’t work anymore, it’s been compromised too many times by paid actions. Furthermore, the people behind Ukraine’s public polemics often come from the same small circle who have the same views and similar backgrounds. To go beyond this circle, you have to get out of your comfort zone, express solidarity with people you haven’t met before, and see problems in their true complexity, beyond personal interest. All of this seems utopian and fraught with problems. Right now, the war justifies everything – aims, means, fictional solidarity, the lack of protection by the state and excessive public patriotism. All of this only plays into the hands of those political forces which will try to retain their place at the next round of elections and once again appeal to the electorate, and not society. It’s impossible to even imagine that someone from Ukraine’s political leadership will make a special announcement on television (as president Poroshenko did with Ukraine’s visa-free regime), in which he’d announce that we should make our society more human, or, for instance, make a public example of tolerant behaviour towards residents of our country’s two easternmost regions. Or perhaps lobbyists, intellectuals, writers and philosophers from the Donbas could address Ukraine’s parliament. Still, I’d like to believe that when the guns stop firing, we will be ready to accept peace and everyone without exception. After all, we’ll have to do it anyway.